New Delhi : In a significant development, the Congress on Sunday invited Delhi's ruling Aam Aadmi Party (AAP) to the swearing in ceremonies of its Chief Ministers in three Hindi heartland states on Monday and AAP MP Sanjay Singh said he will go to Jaipur. "The Congress has invited our party and our Chief Minister (Arvind Kejriwal) has authorized me to go as the party representative to Rajasthan," Sanjay Singh told IANS. 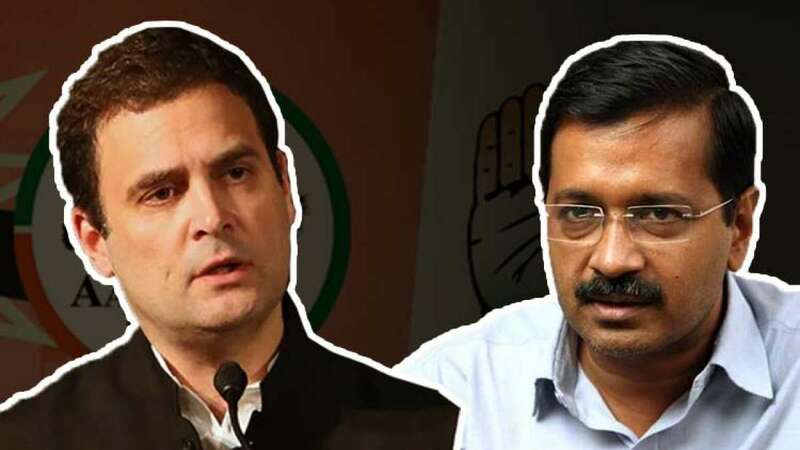 Sanjay Singh, a confidant of Kejriwal, quickly added that "no politics" should be read into this Congress invite which came amid persistent speculation that the two parties may team up in Delhi against the BJP in the next Lok Sabha Polls. Ashok Gehlot (Rajasthan), Kamal Nath (Madhya Pradesh) and Bhupesh Baghel (Chhattisgarh) will take oath on Monday as Chief Ministers after the BJP lost power to the Congress in the three states. In Delhi, the Congress and the Bharatiya Janata Party (BJP) remain in opposition to the Kejriwal-led AAP government but there has been unending speculation that the equations may change, at least in the national capital. On Saturday, Kejriwal, speaking at the Delhi Assembly, said the AAP's main aim was to stop the BJP from coming back to power in 2019 and for this alliances cannot be ruled out. But he did not say who the AAP would ally with. The Congress has no representation in the 70-member Delhi Assembly which is overwhelmingly dominated by the AAP. The BJP is the only opposition with four members.